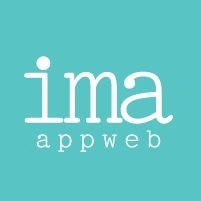 In Nov 2011 Ima Appweb a powerhouse in all things digital was founded. This powerful combination enables full access to an expanded set of capabilities designed to drive the success of your business. With 6 years and more than 50 people working inhouse and few 100 people spread across 40+ locations globally, we are armed with the right capabilities to serve our industry leading clients, emerging clients and startups. Ima Appweb "Digital Transformation Agency" Provides 360 degree digital services to our cliens. At IMA APPWEB we make sure to raise your business to heights with our well trained teams of web designers, SEO Search Engine Optimization Analyst and managers, SEM - Search Engine Marketing Experts & Digital Advertising Experts.